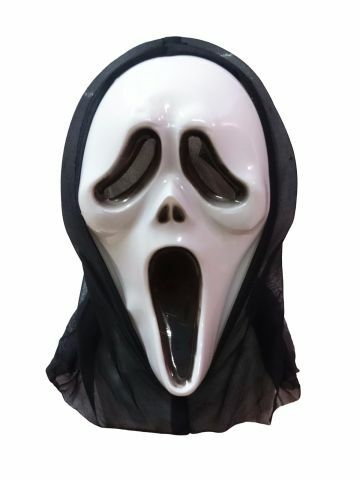 This mask can be used by adults or kids and is from the classic movie "Scream". It gives a scary look for characters and also completes the look on Halloween and many more stage characters. Its made of Plastic material and needs to be handled with care. Disclaimer: Product color might slightly vary due to photographic lighting sources and/or your monitor settings. There is no return policy applicable on this product.